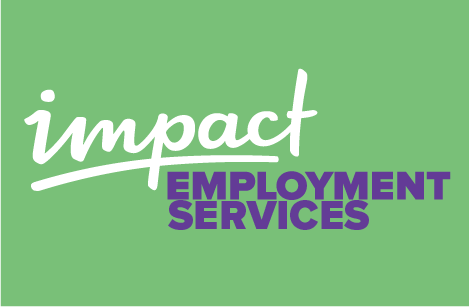 Impact's Clinical Services Program provides recovery-oriented support services to adults with mental illness. All clinical services are personalized based on individual goals, strengths, and needs, but standard services include individual and group counseling, community-based support, symptom management, medication training, nursing and preventative health services, and psychiatric services. Our services are Trauma-Informed and implemented in concert with a Harm Reduction approach. Trauma-Informed care recognizes the prevalence of past traumas, the impact on the survivor, and seeks to establish an environment that prevents re-victimization and helps the survivor feel empowered. This approach is personalized and based on individual goals, strengths and needs. Harm Reduction strives to lessen the negative social and/or physical impact of various behaviors. 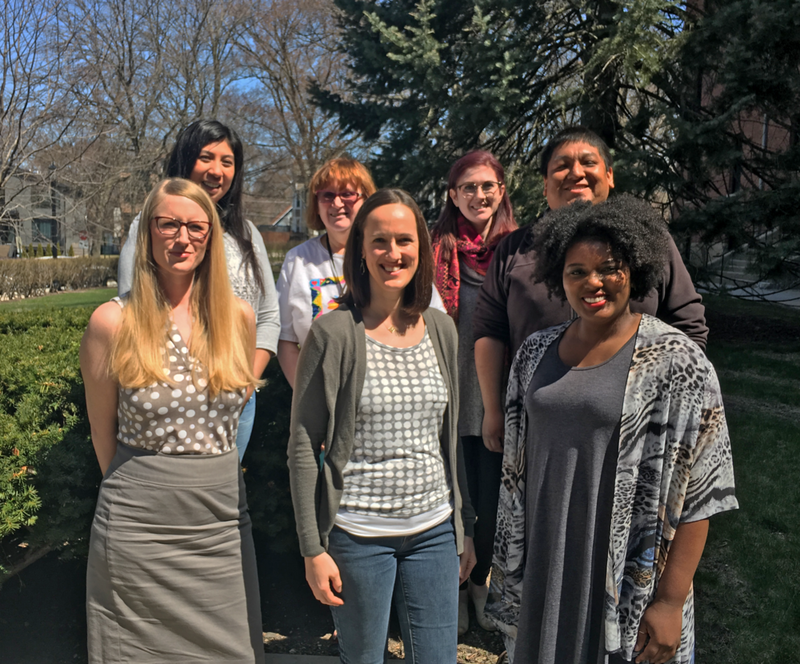 Impact's clinical team consists of Masters level Clinicians, a Benefits Specialist, a Registered Nurse and a Psychiatrist. Members of the clinical staff have different specializations and backgrounds that allow them to provide a wide range of care. Impact's Clinical Staff collaborates with each other, other programs and other agencies to ensure the highest level of treatment possible for all Participants. Griselda has been a resident with Impact for over six years. She has worked with Impact's Housing, Clinical and Employment Programs. Griselda sat down with Impact to talk about the effect that Impact has had on her life and what working with her clinician has done for her. Griselda's Story Transcript, . . .
My name is Griselda… In January Im gonna have six years living here in this program, you know in my apartment. Now I’m a different person. Before I was ferocious, I was depressed, I was an alcoholic. I grew up in a lot of violence and I grew up angry, you know, I almost died of drinking. First, I went to Utah cause I was in a nursing home I had no place to live so they put me in a nursing home. Then, I decided to stop, you know, I stopped drinking for about a year then I went back to drink again. If it wouldn’t be because of this program I don’t know where i would be right now I have a roof its my place my life has changed a lot. I prayed for many years asking for forgiveness for the abuse that i also gave my kids. I have the answer you still have them you can still give them love and then I say “wow!” you know I never thought I was gonna have the answer and I change with my kids. I have one son that doesn’t talk to me because of that you know but one day he will talk to me you know I pray for it and we’ll see what happens. this program has helped me a lot to change. My temper begin to change now I’m at peace. The help that I have from my clinician which is great, Fallon is a wonderful person very patient. you know anything I need they’re there for me. Fallon is always here for me I work in downtown Evanston I work for gap, Im very happy there. what else can i have or what else can I ask for me I’m happy the way I am. I only want what i need to live every day because tomorrow I don’t know if I’m going to be here but today I have everything I need and I’m grateful for that thanks to Impact. Marilyn has been with Impact since October 2007. With the help of her Impact clinician she was able to graduate out of our housing with a housing voucher and she is now living in her own apartment in Evanston. Marilyn is still connected with clinical services for on-going support. 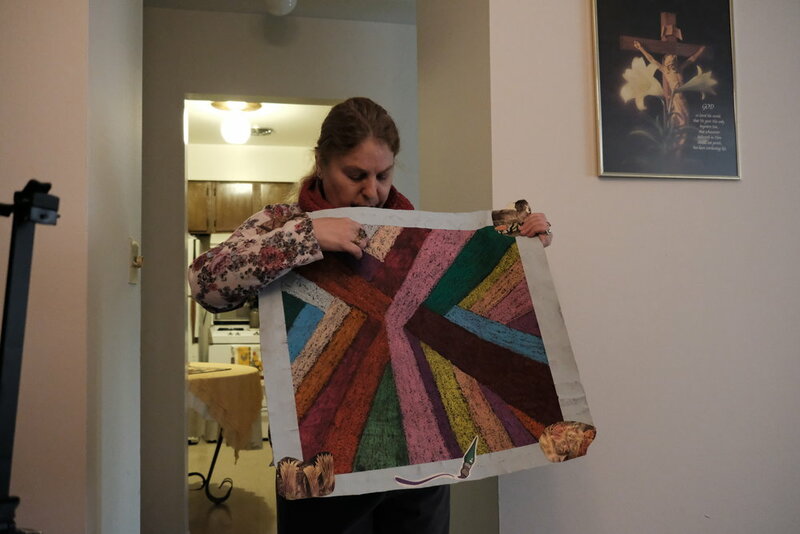 Marilyn has found art to be a great resource in her recovery. Elizabeth has been with Impact since October 2016. Through the support of stable housing, weekly clinical support, and employment services, Elizabeth has been able to obtain employment, pursue her education goals by enrolling in local college courses and work on improving coping skills to handle challenges in more effective ways.